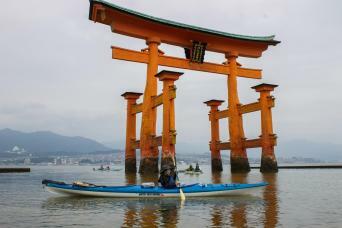 The Kansai region, situated at the centre of Japan's main island of Honshu, is home to three historic capitals: Kyoto, Nara and the smaller, lesser-known Asuka. All three have rich and varied histories. Our tour includes scenic and culturally significant hiking trails, as well as overnight stays in small, traditional inns, with an option for a Machiya townhouse stay in Nara. 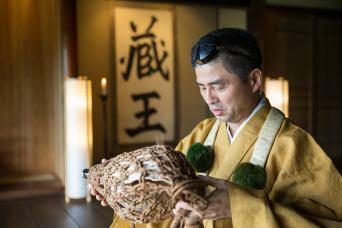 The inns offer authentic Japanese meals and outstanding 'Omotenashi' service. Learn about this historic area of Japan and discover its cultural heritage on these less familiar walks. You can opt to upgrade to a wonderful Machiya Townhouse in Nara. Machiya are beautiful wooden townhouses that have seen a resurgence in recent years thanks to younger craftsmen and designers realising the cultural significance of such majestic, typically historic buildings. Experience the rural lifestyle of the Japanese countryside in Asuka. In this peaceful agricultural community, you stay overnight in a charming Japanese guesthouse or can stay with a local family for an immersive farm-stay experience. Head by train from Kyoto or Osaka to Asuka on the southern edge of the Yamato Plain. This peaceful agricultural community is an ideal location to experience the rural lifestyle of the Japanese countryside. We recommend our Asuka Monuments Walk for your first day here. The walk gives a perfect introduction to the history and landmarks of the village. Overnight at a Minshuku Japanese guesthouse or at a friendly family homestay. On your second day in Asuka, there is the opportunity to explore the village further. For a more active day, follow our walking directions along the route to Tanzan Shrine - wind your way along the pretty roads of this agricultural community and then head up along a forest trail to the atmospheric shrine. Overnight at a Minshuku Japanese guesthouse or friendly family homestay. This morning you can rent bicycles to visit Asuka's wonderful terraced rice fields. Afterwards, travel by train to Nara, Japan's first permanent capital. Established in 710 and then known as Heijo, Nara abounds in cultural heritage, with many historic treasures and easy access to wonderful nature. Or make an earlier start from Asuka and hike the historic Yamanobe no Michi trail before arriving at your accommodation in Nara this evening, staying at a Japanese inn or western-style hotel. Today there is a chance to undertake the Yagyu Kaido hike from Yagyu village back to Nara, following in the footsteps of warriors who took this route to the sword-making village of Yagyu. The full hike is a challenging 20km, but we offer a shorter 12km option from Enjo-ji Temple, too. Both hikes end with a wonderful stroll through Nara Park, with its famous deer and temples. Overnight at a Japanese inn or western-style hotel. Explore more of Nara before heading onwards by train. Spend the day visiting important cultural spots including Todai-ji and Horyu-ji temples, visit the carefully preserved Edo-period merchant district of Nara-machi, Isuien Garden. The tour ends with your train journey back to Kyoto or Osaka. You can use our train tickets to board a morning train, or you can enjoy a full day in Nara and travel onwards in the late afternoon or early evening.